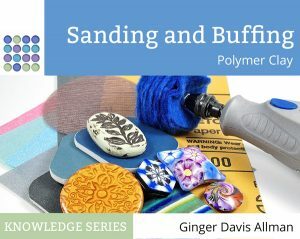 In order to best advise my readers on good tools, materials, and supplies (and how to use them), I explore a lot of different products. Most I buy myself, some are provided by manufacturers, and I try out other people’s tools as much as I can when I visit claying events and retreats. Because of this, I have exposure to a lot of different products. So what do I choose to use in my own personal studio? Here is a summary of the various tools and materials I am currently using in my own polymer clay work. These aren’t the ONLY things I use in my studio, of course. I use all brands of clay (depending on the project), all liquid clays, many glues, even more paints, and whatever varnish trips my trigger at the moment. But if I had to choose, these products would be the ones I’d take to live on a desert island. Keep in mind that we are all different, so you might find that your preferences are different. Your mileage may vary. But I can say that I’ve had good results with all of these products and I do recommend them with a smile. 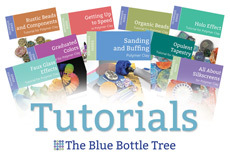 If you’re brand new to polymer clay and are looking for the tools you need to get started, you’ll find a comprehensive article here that explains how to get started without buying more than you need. This is my special Atlas 180 that has been modified by Ed Street and Mona Kissel to have removable blades, powder coating, and an easy-wipe acrylic base. A note about the links. Because I have readers all over the world, I can’t link to one good source for everyone. So I’ve linked to sites that will allow you to get enough information about the product to source it from a supplier that has good prices in your location. The Amazon links are affiliate links, and I do get a tiny percentage if you buy through them. But please buy from the source that makes the most sense for you! Wonderful, Ginger! And I have a fewe of these tools because of your recommendation!